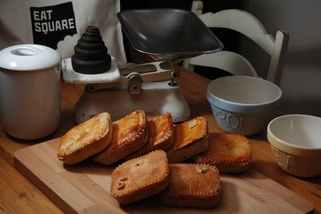 Enjoy Traditional Pies by Post! Fantastic Pies! Really tasty and filling, with next day delivery too! As a vegan its hard to find a good pie. I love the beef and ale pie. Such a rich gravy and tender chunks of beef. My favourite. The best tasting pies I have ever had. Eat Square is now my pie company of choice. Steak and Ale Pie is a classic and our best selling pie. Chunks of prime steak from ﻿Church Farm's own free roaming cattle. Butchered at the farm the meat is hand cut in to small chunks ready to fill our pies. We slow cook this delicious meat in Wadworth 6X Ale and add some spices, herbs and English mustard for several hours until tender. This gives a full deep flavour and rich gravy. Using our own shortcrust pastry we encase this luscious filling and bake it to perfection. This is how it comes to you; ready to eat or heat up and enjoy at its best. 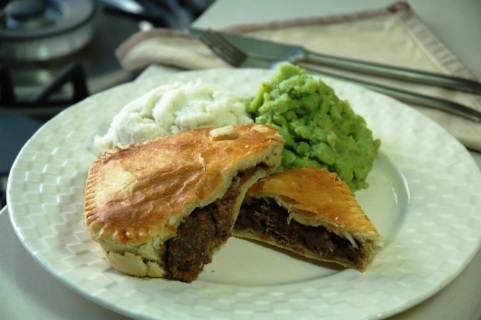 Ingredients: Beef and Ale Filling (55%)(British Beef (28%), Wadworth 6X Ale (source of gluten), water, onions, plain flour, carrots, celery, tomato puree, English mustard, garlic granules, beef stock powder (contains celery), salt, black pepper, dried oregano)Pastry 45% (plain flour, water, unsalted butter (milk), lard, free range egg yolks, lemon juice, salt). Allergens: Wheat, Gluten, Eggs, Milk, Mustard, Celery. 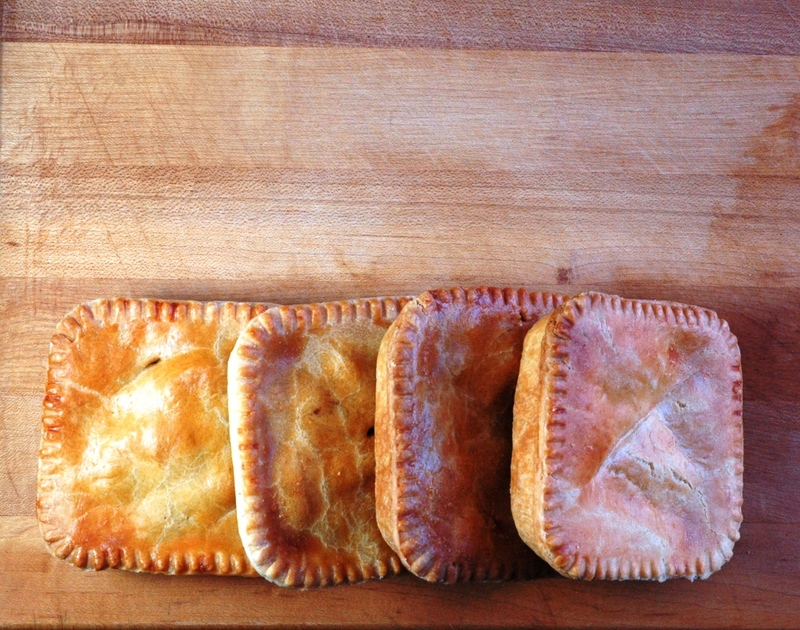 If you haven't ordered pies from Eat Square before you can order this pack and get a great introduction. This is a special box of a selection of 3 freshly baked pies pies chosen by us. 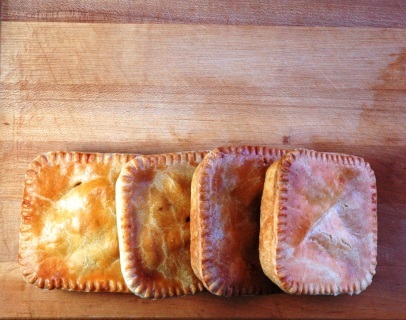 Typically you will receive a Steak Pie, Chicken and Mushroom Pie, and another fresh pie from the day's bake. This may vary according to availability and you can add your own requests in the comment section when you order. Great for a present or a surprise for friends and family. Ingredients and details can be seen on the pie page of the website.